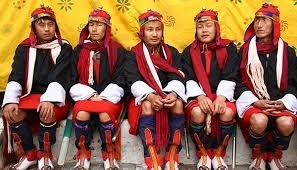 This trip takes in the highlights Western Bhutan and the unique Punakha (festival), where you will spend one and a half days, according to your interest. The events and enactments are different on each day. The Tsechu (religious festival) consisting of typical masked dances is usually held directly afterwards. Both are colourful and interesting. You will take a pleasant walk to Chimi Lhakhang, the temple associated with the Divine Madman, Drukpa Kuenley. After spending two nights in the capital of Thimphu where you will visit the colourful weekend market, head over the Dochu La pass to the subtropical valley of Punakha and it's fantastic Dzong. The trip ends with 3 nights in the beautiful Paro valley giving you time to explore this area at leisure, including a hike up to the Taksang Monastery (Tigers Nest), one of the most sacred pilgrimages in the Himalayas. This family adventure to Bhutan immerses both young and old in the fascinating culture of this magical Himalayan Kingdom. Uma by COMO, Paro, is our comfortable base with accommodation in one of Uma Paro’s spacious villas, complete with private terrace and large living area. Children can enjoy bespoke activities including prayer-flag making, private archery lessons and tent building, while family day trips include visits to Paro Dzong, the National Museum of Bhutan and a spectacular walk to the iconic Tiger’s Nest Monastery.